That feel when your dads high five after giving a sweet burn. Darkwing Beyond fans might recognize that coffee mug. 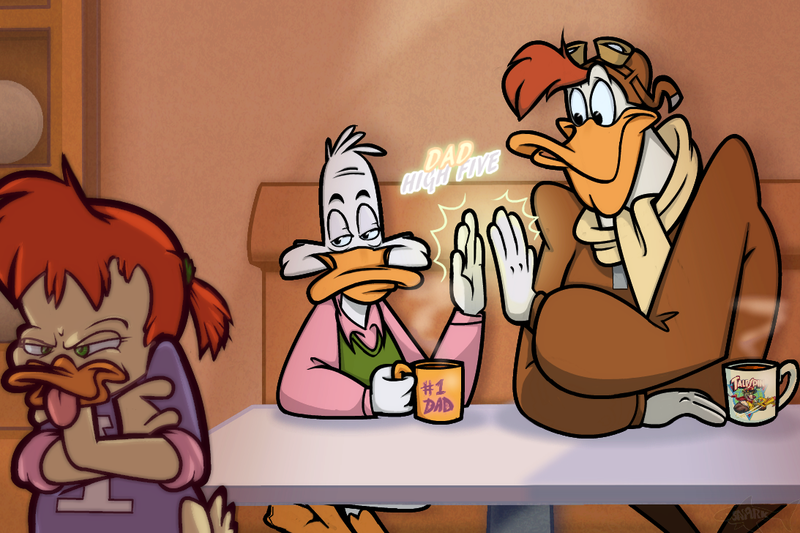 Bonus Multiplier: Launchpad's mug. Jungle Aces represent! I cannot picture Launchpad McQuack as a father. Rather, he is that uncle who never grew up and is the family's comedian/fool/foil to all the over-serious "adults".